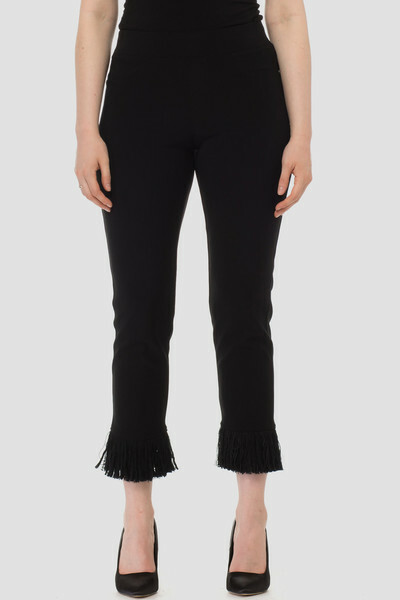 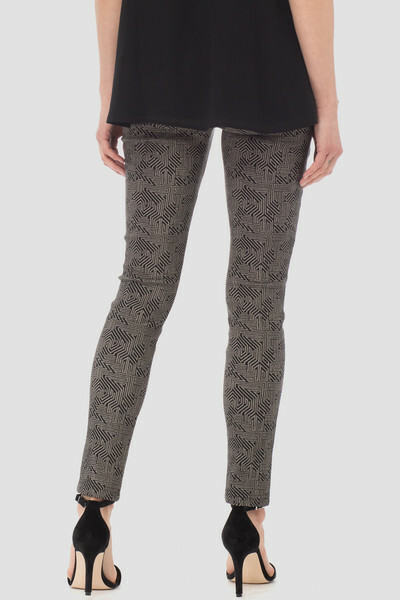 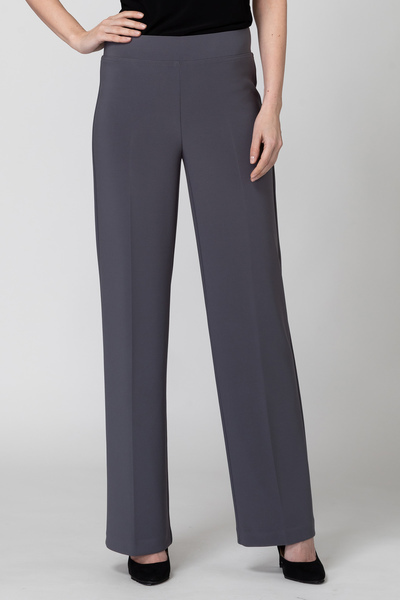 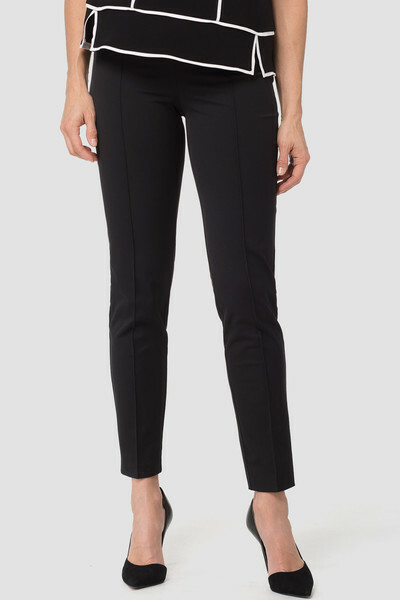 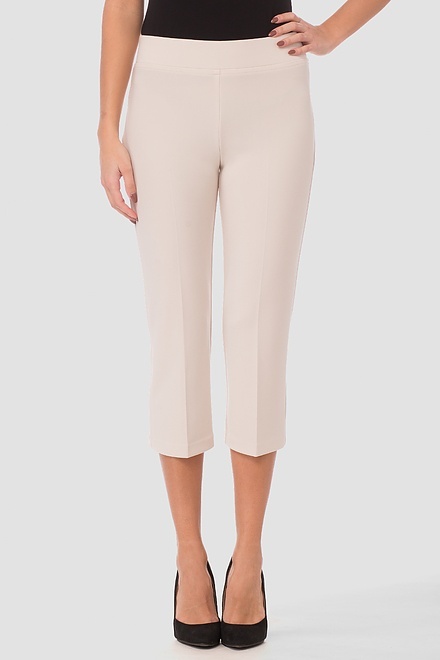 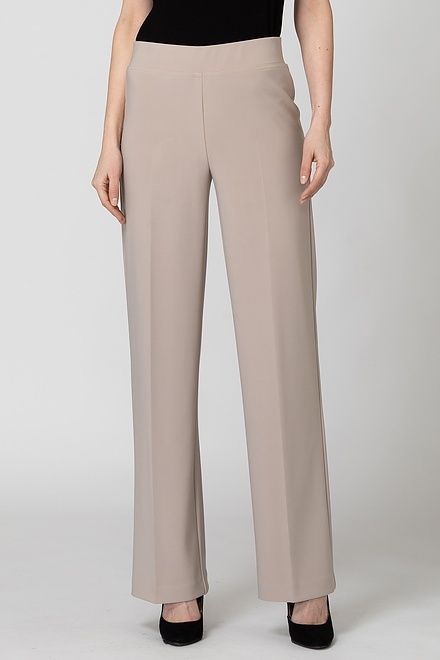 With detailed graphic print and tulip-style cropped hem at the ankle, this Joseph Ribkoff pixie pant includes single stripe running the length of the pant down the midline of each that provices an elongating effect. 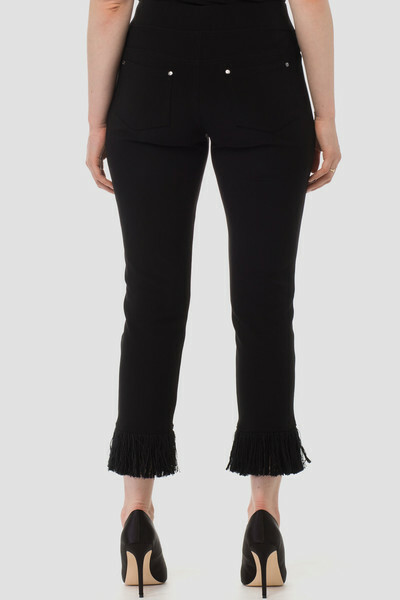 Very nice pants. 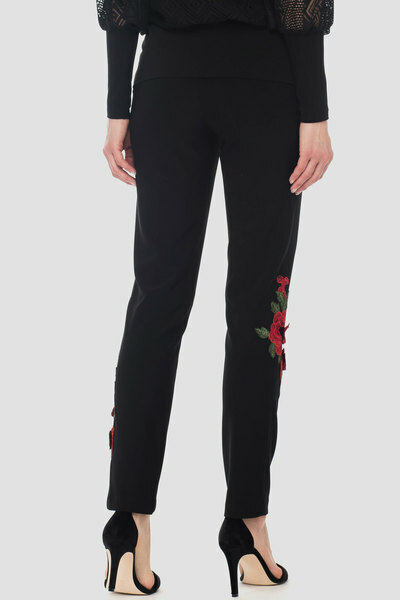 Order was received quickly!